A re-post of a Carl-special. With current reports of increasing activity on the Reykjanes peninsula, after 800 years of quiet, this is a post well worth recalling. And remember that in the few hundred years before the current calm, roughly 900-1300, every major volcano on the peninsula erupted. These were amazing years which also included Eldgja. Now the peninsula is a UNESCO global geopark with 55 separate geosites. Let’s see why. This time around I am not going to write about a single volcano, instead I am going to write about one of the most interesting corners of Iceland, namely the volcanism on Reykjanes Peninsula and Reykjanes Ridge. Here at Volcanocafé we regularly write about two types of volcanism, subduction driven volcanism or hotspot driven mantleplume volcanism. Rarely do we write about the third type of volcanism, namely plate-tectonic rift volcanism. In a way we should write more about it since it stands for more than half of all volcanism on the planet, but then on the other side, it rarely is noticed since 99.9 percent of it takes place under the ocean at such depths that you need a hydrophone to even notice it. Only places where you can find it above the surface is at the topmost part of the Great Rift volcanism, or in Iceland. As we leave the triple-junction volcano of Hengill behind us we venture beyond the volcanism that is driven by the Icelandic hotspot. Instead the volcanoes from here on is driven by the spreading of the Mid Atlantic Rift (MAR) only. As the American and Eurasian continents are drawn apart the pressure is lowered at the top of the mantle and mobile magma is released due to decompression melt. That magma in turn moves into the thinning crust, often at the latter end of an earthquake swarm. Normally we spend a lot of time trying to understand if an earthquake swarm is tectonic or magmatic, but here the swarms often go rather seamlessly from a tectonic entry-stage to a magmatic end stage. Often these types of swarms are called magma-tectonic just to lessen the confusion. Most of these swarms never amount to anything, but on rare occasions swarms happen at the same place and magma start to build up in the thin layer of crust and at even rarer occasions you get an eruption. But one thing is certain; sooner or later you will have an eruption at pretty much every point along the rift zone. In no place in Iceland is the question about what is a central volcano as infected as here, and to be honest, volcanoes worthy of the name central volcano is far in between, but they do exist if you look for permanent magma reservoirs. Problem is just to know if one exists or not. I will try my utmost to be clear when we know or not. The rest of the volcanism is from rift swarms, these are permanent weaknesses that lack a permanent known magma reservoir, but they have suffered from repeated eruptions. Now we can start our tour. Between 875AD and 1371AD Brennisteinsfjöll suffered from 6 eruptions, or on average 1 every 78 years. Before that the volcano had mainly been inactive for a period of 2 000 years. The eruptions from Brennisteinsfjöll are mainly effusive lava floods with a small explosive component caused by access to water. The magma from Brennisteinsfjöll is high in sulphuric content giving the mountain its name, in translation to English it would be Mount Brimstone. So expect any eruption from here to be slightly on the stinky side. During the 1 000AD eruption the stench was so bad that it disrupted the parliament that was held outdoors in Thingvellir. 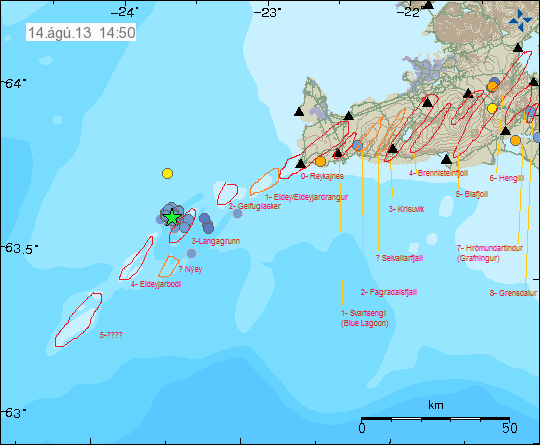 Currently the seismic activity is low at Brennisteinsfjöll, but the area is by no means quiet, it just lacks massive earthquake swarms indicating magma-tectonic filling of the volcano. Brennisteinsfjöll is believed to hold an independent magma reservoir. The central volcano of Krísúvik is heavily tectonically active, and has also suffered from a recent long term magmatic intrusion at depth. The volcano has a large field filled with solfataras, fumaroles, boiling mud pots and hot springs. There are also large sulphur deposits that previously was mined. Due to the volcano running in under Kleifarvatn Lake the area is prone to suffer from explosive Maar-formations and the area is also very hydrothermally active. After the 2 000 earthquake cracks opened up at the bottom of the lake and the water level dropped so much that more than 20 percent of the surface area disappeared, in 2008 the water level had returned to its previous level. The water level though dropped again when an inflation period started in May 2010 that lasted all the way to April 2012. During this time new hot springs came to the surface as the water level dropped and scientists recorded a lot of other signals associated with a volcano nearing an eruption. This photograph by Skarphéðinn Þráinsson shows the Seltún hydrothermal field at Krýsúvik volcano. But in May 2012 everything calmed down and the volcano started to slowly deflate and the risk for an eruption diminished. One should though recognize the very tangible risk for a new intrusion happening, which might set off the volcano in a fairly limited amount of time. Krísúvik might be seen as a bimodal volcano, in and of itself it is not explosive at all. But if you factor in the ready access to water and previous history of Maar-forming detonations, well then you have a high risk for explosive bursts during an otherwise mild effusive eruption, so it might be wise to keep a good distance from the volcano when she erupts. The volcano is last believed to have erupted in the year 1340. To the west of Krísúvik you have at least 3 rows of rift swarms running at an angle to the MAR, they are all oriented in a NE direction to the EW direction of the MAR. These volcanic rifts are ill researched, but at least one of them is believed to have erupted during the last 1 000 years, probably around the year 1200. There is nothing pointing towards these rifts having an independent permanent magma reservoir, so as such they are not volcanoes in their own right even though they have erupted more than once. Normaly a power-plant is not the sexiest thing on the planet, but the Icelanders have succeeded with making Svartsengi pretty photogenic, at least seen from the Bláa Lonid (Blue Lagoon). Up until recently it was hotly debated if the heat drawn by the Svartsengi Hydrothermal Power Plant came from an independent magma reservoir, or if it was fueled by residual heat from the 1226 Illahraun eruption from Svartsengi. Nature though tore that dispute rather decisively in early October of 2013 when a rather dramatic intrusion occurred in the volcano. The swarm started as a regular tectonic swarm but rapidly became magma-tectonic as new magma rushed in to fill the newly created empty spaces. In effect, the initial earthquakes transformed Svartsengi into a vacuum syringe pulling in the magma as it opened bottom up. Svartsengi is often in the literature mixed up with the Reykjanes volcano, but it does not in any way share the same magmatic reservoir and is as such different volcanoes. An eruption from Svartsengi would mainly be effusive in character. The tip of Reykjanes with Reykjanes Volcano. The real Reykjanes Volcano might be the smallest volcanic feature of them all, it last erupted in 1 211AD in an eruption that transected both land and water, and as such it was the largest explosive eruption in both the Reykjanes Peninsula and Reykjanes Ridge areas. Called the R-7 Tephra it ranked in at a respectable VEI-4. There is no sign of an independent stable magma reservoir under the volcano and it is doubtful that it is a central volcano, but an eruption here would be a danger to anyone living close by due to the explosive nature caused by the readily available water. It is not known if this is one volcano, or if these are two different adjacent volcanoes. I am here going to avoid that discussion and leave that for others to decide. Eldey had its last eruption in the beginning of June 1926, it was a small eruption not assigned any VEI-number. The Gannet riddled island of Eldey. The last eruption at Eldeyarbodi was in March 1830 and ranks in at a respectable VEI-3. This eruption caused the start of the end of the Great Auk as the entire Eldey and Eldeyarbodi colony moved to Geirfugl where they dwindled rapidly until the last couple was strangled and the eggs stomped asunder. The area is highly tectonically active with frequent recurring earthquake swarms. The area is believed to house a permanent stable pocket of magma, and from time to time ephemeral islands have sprouted forth. There is also a trace of young magma that has been sampled from the ocean floor pointing to volcanic activity as late as in the 1980s. In May 1783 an island was born near Eldey, it was christened into Nyey (new island), but it had a short lifespan and rapidly sank due to the harsh wave conditions in the area. All that is visible of the Geirgugladrangur volcano. The remote rock of Geirfuglasker has come and gone during the centuries and eruptions have taken place here at numerous events. The same goes for this area as for Eldey, we do not know if this is a larger volcano with 2 individual peaks, or if it is 2 separate small volcanoes. The last eruption at Geirfugladrangur took place in May 1879 and the last at Geirfuglasker in 1422. But there is good reason to believe that those eruptions are just a tip of the iceberg and that several small eruptions have taken place later on. The area is today wrought with intense earthquake swarms and it is not hard to believe that sooner or later a new eruption will take place here. It is quite likely that there is a permanent magma reservoir here, but there is no conclusive evidence for that. There are more volcanic features out in the waters of Reykjanesskaggi, but these are most likely ordinary volcanic rift zone and not individual volcanoes. At least 5 other volcanic features are known to lurk in the waters, but until more research is done we can leave that be. For the Reykjanes Peninsula we can see that the volcanism tends to be happening in groupings where the region is active for about 500 years and then goes silent for about 1 000 years. This is most likely due the tension buildup being prolonged here and that it takes time for the tension to become strong enough to thin out the crust sufficiently for a rifting episode to start. There is currently nothing pointing towards such a rifting period being close, but then on the other hand we have seen intrusions happening at two well known volcanoes. Only problem is that we do not know the complete track-record for the area, these intrusions might after all happen every 50 or so years without any eruption happening. 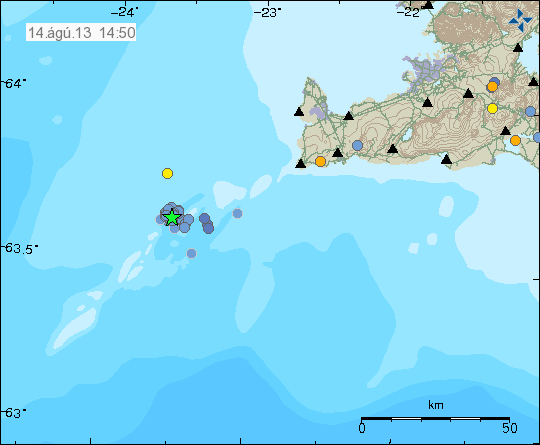 When an eruption happens in the area it will be effusive unless it happens at Krýsúvik or Reykjanes Volcano, there the ready access to water could lead to a severe explosive event. In the end though even an effusive eruption would cut the power from Svartsengi Power Plant and cut the main road to the Keflavik Airport, but Iceland has abundant electricity and even emergency airports that could take over the slack. In the end the place to expect an eruption is out in the water, and in all likelihood we will see one sooner rather than later. And, in the end isn’t the idea of a brand new Island shooting out of the water outside of Iceland what all of us dream of? Ok. Great article. In the picture of the power plant, are there people swimming in the water? Yeah it’s the Blue Lagoon, one of the few (if not only) “good” industrial disasters to happen in the world. It’s also something of an overpriced tourist trap. I think there is a sequel to this in the works by Carl, but I know nothing.. I am just going to drop some HD works from me. I have in plan to make such graphics for pieces of entire Iceland and then merge it together to make one big ultra HD graphic of Iceland seismicity. This is 97-2017 data. You have to open this in a separate tab/window for ful res. 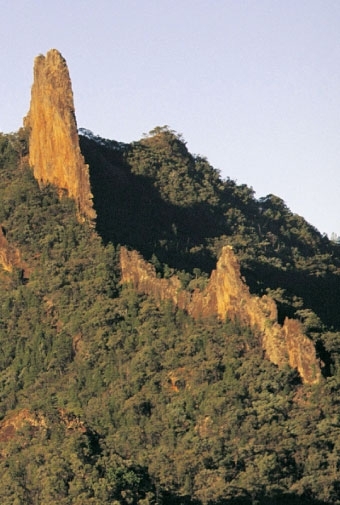 Hey Down Under, what´s the region depicted here? What´s in X and Y in the graph? Its Askja on the left and Herdubreid on the right that is outlined. Would be interesting to see the map with just 15km or deeper earthquakes. Looking at first glance one can see deeper intrusions at Eldeyjarbodi and at Surtsey. It´s eye-revealing to see that Westman Island (Heymae and Surtsey) seem to be the beginning of a new volcanic region, and further areas located southwest or west have recorded deep earthquakes. Wonder if volcanic activity is already occuring there under the ocean. Nevertheless earthquakes are still scarse. Great paper, Carl-Albert continuum (homogenous strata?). Thanks! A realisation dawned on me as I read this: that Volcano Café has long been more than “just a blog” and is actively contributing to the science and knowledge of volcanoes around the globe. The recent series of awesome articles, even though not peer reviewed, do contribute a lot to the overall science of volcanism. I think this is something our writers and commenters should be proud of. Well done everyone! Let’s have a round in the bar… Mine’s a cider. Is this volcanic? It looks like a weird icescape. See NASA for more. The higher resolution image is impressive. The cracks look like regolith (sand/dust) has come up through them, a bit like liquefaction would do. Oh – my typing! “To Send” not a send. Quickly reading up, the region indeed has a young (i.e. 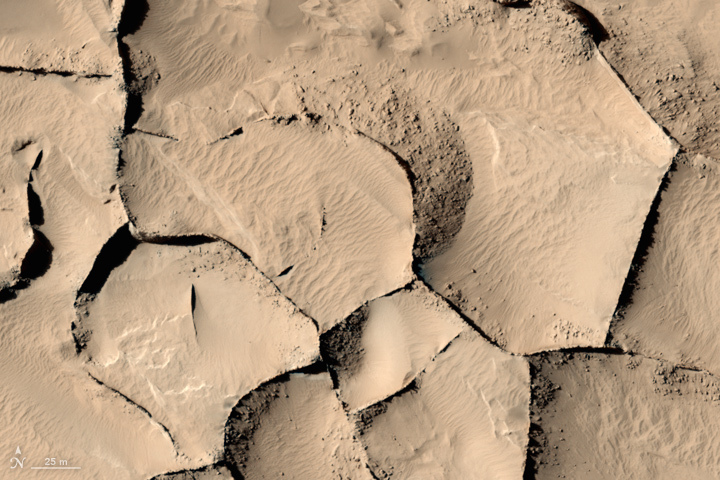 eroded) surface, and on Mars erosion is mainly by wind. The ridges are part of a larger system of dikes, which due to the erosion now stand 10-50 meter (my estimate) above the surroundings. Here be volcanic innards. Carl, I think you might have confused the names of some of the underwater volcanoes southwest of Reykjanes volcano. Eldeyjarbodi is not located near Eldey, but much further away. It´s Eldeyjardrangur which is located near Eldey. 1) First is Eldey and Eldeyjardrangur. Eruptions recorded in 1210 (VEI4), 1582, 1884?, 1926. This system might be just a continuation of the fissure swarm of Reykjanes volcano proper. 2) Second is Geirfuglasker and Geirfugladrangur. Last eruption in 1879. 3) Third is an un-named deeper region with apparently a couple of underwater mountains. This region is often the source of intense earthquake activity. 4) Fourth you the start of a ridge area called Reykjaneshryggur, of which the only island is Eldeyjarbodi (last well-established eruption in 1830, a VEI3 but an eruption might have happened here as recently as in 1970 according to GVP). East there is another sunken island (Nyey, created in 1783). These are the last islands off the coast and they are located quite far from the mainland. 5) Fifth and further southwest lies a larger volcanic area, but deeper and much less understood. Possibly most of these regions would have been above sea level, during the ice age. I did a map with all volcanoes marked off the coast of Reykjanes, and the peninsula itself. Some are up to discussion. I couldn´t attach the map. Let´s try it again. This is where I still get a little confused when it comes to Iceland’s volcanoes; sometimes it’s unclear as to what should be regarded as individual features of a single volcanic system or different unrelated systems, as in are what for Iceland we call ‘central volcanoes’ always individual ‘volcanic centres’ (e.g. Grimsvotn and Thordarhyrna are their own systems) or are some just related features of the same system (e.g. Trolladyngja is just a feature of the Bardarbunga volcanic centre and not its own unique system). I hope I make sense. I mean like, in most volcanic regions, it’s very clear as to what is considered a volcanic centre, like the Three Sisters are features of the same system and definitely not three independent systems, but in Iceland it seems to be muddled. So what I’m trying to say is, I’m not sure what the actual number of volcanic centres in Iceland is, as like here for example, all of the offshore features on your map are usually all grouped as being features of the overall Eldey volcanic centre and I’m now unsure as to whether that is actually the case, or if the features should be considered as individual independent volcanic centres (by the way sorry if I’m rambling). From my current understanding, there are 38 independent volcanic centres, some with multiple features (e.g. Kerlingarfjoll is a feature of the Hofsjokull volcanic centre and not an unrelated independent system). These 38 are all the volcanoes marked as triangles on the IMO Aviation Colour Code map, plus Vatnafjoll, Hamarinn, Kistufell, Upptyppingar, Herdubreid, and Tjornes Fracture Zone. Am I right or am I missing something? On a slightly different note, as an idea it think it would be good to have a post/discussion about the extinct Iceland volcanoes (that we know about), like the ones on the map such as Grensdalur. It’s not something that tends to be talked about. Excellent, can I use this to fill in some gaps on the VC mega map? Anyone have a handle on how deep the caldera ring fault system is believed to operate? This would take one of those Ian or Downunder maps to sort out. The caldera faults should go down to the main magma chamber, perhaps 5 kilometer. The M3.5 could be near the bottom of the original dyke. It would be interesting to see whether to see whether it is purely tectonic or has a bit of magma. 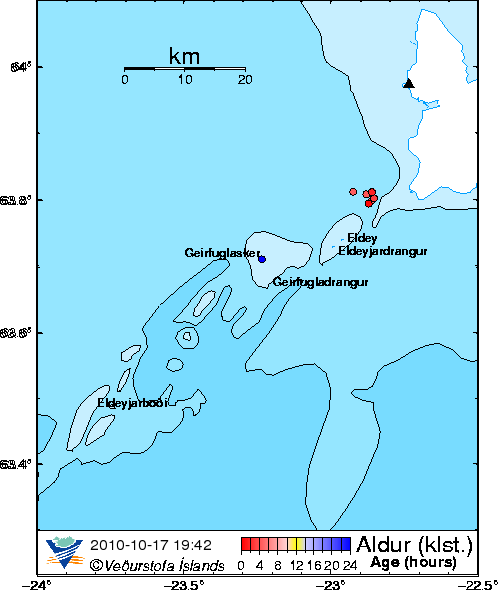 The deeper ones are not at Bardarbunga, but are MAR-related. I think. I have made some graphics for Bardarbunga which show its vertical profile. The deeper ones under Vatnajokull are in a specific area where there is an active magma intrusion, an isolated area SE of Bardarbunga and NNE of Grimsvotn. An M2.9 at New Madrid. It is hard to keep a fault down. Its definitively difficult to say, because these human concepts are blurred when applied in real life, such as the case of Iceland. 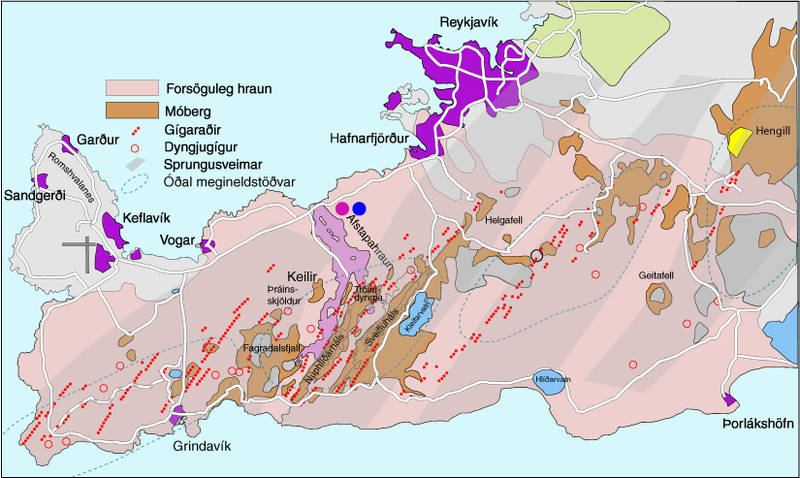 Across the Reykjanes peninsula, no volcano has a central volcano, but there are four major volcanic centers (Reykjanes, Krisuvik, Brennisteinsfjoll, Hengill) which are clear that they operate independent of each other. Other volcanoes are suspected of being separate volcanic systems, but that is object of scientific discussion. These are: Svartsengi, Fragadalsfjoll, Blafjoll, Grensladur, etc… Some of these only had eruptions until the late Pleistocene. Others seem to behave as independent systems (and that is also my opinion), at least Svartsengi and Fragadalsfjoll. When I speak about all these I speak ONLY of what might be considered a pseudo-central volcano, or an independent volcanic system, not individual features such as a tuya or cone that belongs to a fissure swarm. Inside Reykjanes peninsula, there are hundreds of volcanic cones but all seem to fit into 6-8 volcanic systems of fissure swarms, the ones I mentioned. To complicate things, some systems have more than one central volcano, such as Bardarbunga and Grimsvotn! Hamarinn is for example a central volcano that can behave independently, but it also lies inside Bardarbunga fissure swarm! Mrmjf, your idea of writting a post is an excellent idea. I can offer myself to that, but I think I would appreciate to join forces with Carl, as he is also very aware of some obscure independent volcanic systems in Iceland, for example those located southwest of Grimsvotn. Would be nice to put all into a post. Will try to do this. Beardy Gaz, certainly you can use the map I did! It is also “highly” likely that an eruption did occur at Eldeyjarbodi in 1970. It seems to emerge from this timeline that activity in Reykjanes has been slowly increasing again since two centuries ago. I assume that Reykjanes volcano is likely to be one of the next volcanoes to erupt. And a VEI4 is not off the cards. The period around settlement (870) to 1300 was filled with eruptions in Reykjanes peninsula, especially around 1210-1240. Eruptions also happened at Krusuvik and near Hengill in this historical period. Statistically the current repose is almost at the average length (800 years) for inter-cycle dormancy at Reykjanes, so it’s likely we will get a new eruptive cycle in the next few decades, probably as we reach the new maximum. 1210-1240 was a Fires episode, so again that’s likely to happen this time. I think it will be something like Krafla. Interestingly I read that eruptions on the peninsula tend to start at one end and progress across the other side, like volcanic dominoes. So it could be that Krysuvik then Brennisteinsfjoll will have eruptions after Reykjanes does its thing. Looks like living in/near Reykjavik is going to get a lot more ‘interesting’ in the late 21st C! Interestingly, the period around year 900-1000, was quite lively in a large part of the entire Western volcanic zone and Reykjanes peninsula. It makes me wonder whether it was not just a reactivation of the entire western rifting of Iceland. Curiously, the activity in Vatnajokull (and Hekla) was very quiet (except for Edlgjá! ), almost as if rifting was taken over by the western rift. Activity continued and peaked again around the period 1150-1250, with repetitive fires occurred in Reykjanes. The last “fires” in 1340 seem to have occurred in the 3 volcanic systems at the same time! Currently it looks like an alien invasion starting on the MILA’s Thingvellir cam. I believe it’s light hitting water droplets cam lens. 😀 Maybe someone could catch the it before it’s gone and put it on here. http://www.independent.co.uk/travel/news-and-advice/campi-flegrei-supervolvano-eruption-vesuvius-naples-pozzuoli-christopher-kilburn-a7737886.html after cadging a report from University College of London. Weirdly the article tells us “El Hierro” is a supervolcano! I hardly think underwater Bob’s recent benign burbling the hallmark of a supervolcano unless it is an extremely miniature one. Have you got a direct link? Bear in mind, that this graph, that can be found on that link, is broken. The big jump about half a cm to the left of the dotted line was the 2.5M quake on 5/3, after that it stalled, the last ½ cm was manually adjusted on 27/4. The date on the dotted is however working perfectly. IMO is aware of it, but can’t seem to find any real errors in the script. I found it quite REMARKABLE, after researching, that in the years 1340-1341, it seems that 5 Icelandic volcanoes erupted! We had a rifting fire of Reykjanes, Krisuvik and Brennisteinsfjoll, while Hekla and possibly Grimsvotn erupted also. Brennisteinsfjoll VEI2, Grafeldur (Selvogshraun lava field), 1340. This is northeast of Krisuvik. I wonder what sort of ice-cream trucks they had back then, cause business must have been booming. This is in part a transform zone, which means it is perhaps more likely to move near-simultaneous than the straight rift zones? So, basically a ‘fires’ event that failed to achieve a rifting vent and instead blew out the pressure through preexisting central edifices? Not sure what went wrong but it’s a mess once again!